Whether you’re looking to try out a new soap, switch up your toothpaste, or see how you feel with a new kind of deodorant, there’s bound to be a FREE sample offer out there for you. That’s why we search high and low to bring you the latest offers from companies like Colgate, Dove, Schick and more every day. Walmart has the Schick Slim Twin ST2 Sensitive for Women Disposable Razors, 6 count for $3.47… plus there is a NEW $7.00 off 2 Schick Disposable Razor Pack Printable Coupon making 2 of these FREE after the coupon! FREE Sample of Always Product! *While supplies last. Allow 4-6 weeks for delivery. FREE Equate and Assurance PurseReady Sample Pack! To get this offer, just click where it says “Free Sample”. FREE Playtex Sport Pads, Liners and Combo Packs – Get this today, simply fill out the request form. 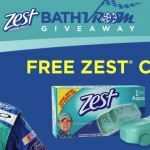 Body Wash Samples - If you like to try out different scents and brands of body wash, browse through our lists of free body wash samples. Name brands like Dove, Neutrogena, and Aveeno and many more are looking for people like you to sample their products for free. Mix it up with some new scents and formulas to find your new favorite body wash. So what are you waiting for? Check out our listing today! Soap Samples - With so many different soap products out there, it can be expensive to try them all and find the one that works for you. Luckily, some major brands give out free samples to let people try out their soaps at no cost. 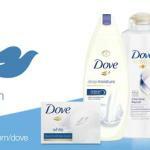 Take a look at our free soap samples, with brands like Dove, Dial, SoftSoap, and more. With a wide assortment of scents and formulas, there's sure to be a soap for everyone. Deodorant - Companies who manufacture deodorant love giving out free samples of their products to entice new buyers to try their products. Old Spice, Degree, Gillette, Right Guard and many others all want you to try their products now. You'll find numerous products from all these great companies and more. Browse our list of deodorant companies to find a company whose products interest you and look for free samples. Try great name brand deodorant products before you buy them today. Razors - If you like trying out different brands of razors, browse our listing of free razor samples for some well known name brand razors. Try them all to find out the right brand for you. Companies such BIC, Gillette, Shick, Phillips, Panasonic, and many, many more place free samples into the marketplace in order to attract new customers. Try these products before you buy! Razor companies LOVE to give out these complimentary samples. Browse our list of name brand razor samples and try before you buy! Toothpaste & Mouthwash Samples - Toothpaste and mouthwash companies give out more free samples than you'd think. They want you to try their products in the hope that theirs is right for you. 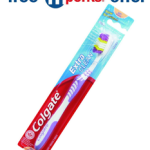 Go ahead and browse our list of major brands such as Listerine, Crest, Colgate, Scope, Aquafresh, and numerous others. You can choose from as many as you like until you find the right one. So what are you waiting for? Try these products today! 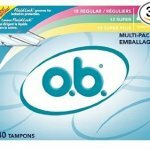 Tampon Samples - When it comes to feminine hygiene, every woman should feel comfortable with the products available to her. Sometimes the best way to know what works best for you is to try several different options. If you're looking for a way to try out some new products without breaking the bank, check out our free samples listing for tampons! With the best brands in feminine hygiene, including Tampax, Kotex, Playtex, you're sure to find something that works for you. Condoms - The makers of condoms want you to try new things - and they are willing to send you free samples to make that happen! Listed here you will find a variety of personal product samples from several manufactures. Provide some basic information like your name, address and email, and these companies will be happy to send you a small amount of their new products to try (often, the companies will enclose coupons for you as well). Teeth Whitening Samples - Are you considering teeth whitening? Procedures at the dentist often come with a hefty pricetag. Many companies offer at-home whitening treatments for a fraction of the price. If you're looking for something to brighten your smile but aren't sure which one is right for you, check out our listing of teeth whitening samples from major brands including Crest, Colgate, and Rembrandt. You'll be able to try out some different options and be on your way to a whiter smile.